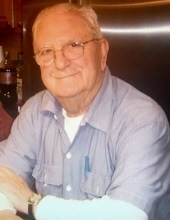 Paul F. Palermo Sr. age 80, of Attleboro, passed away peacefully at home surrounded by loved ones on March 17, 2019. He was the beloved husband of Leslie A. Palermo (Burt), to whom he was wed for the past 53 years. Born in Franklin, MA on July 7, 1938. He was a loving son of the late Alma (Ciccone) and Benedetto Palermo and was pre-deceased by his dear brothers John and James Palermo, and his sisters Jean Vargas and Lois Campbell. Growing up in Franklin “Paulie” earned a reputation for being an industrious young boy. His various jobs included polishing fruit at the local corner market, delivering newspapers, manually resetting pins at the bowling alley and retrieving golf balls at the driving range. These experiences were the foundation for a solid work ethic that carried over throughout the rest of his life. After graduating from Franklin High School in 1956 he worked for The Kendall Co. in Walpole, MA. Paul served in the Army from 1961-1967. During his active duty in Germany he received The Army Commendation Medal for Meritorious Service as well as the M-14 Rifle Markmanship Medal. In 1967 he pursued an electrical career with A.C. Burt Electrical Co. Inc., attaining his Master’s License in 1972. In 1979 he became a self-employed electrical contractor. He also worked many years as a part-time pallbearer at Duffy-Poule Funeral Home. A resident of Attleboro for the past fifty-three years, and as Attleboro’s Electrical Inspector for the past 30 years, Paul retired on February 3, 2019. He was known as a firm but fair inspector. His expertise and knowledge of the electrical code were widely recognized and relied upon by his colleagues. Paul always enjoyed a lively debate even when challenged. He loved his job in the Inspection Department and his work family at City Hall. Paul especially cherished spending time with his family and friends of all ages. He was an amazing cook and enjoyed feeding the crowd that came to Sunday dinners. Always an open house, no invitation needed. He enjoyed staying active and working tirelessly outside on their family farm. His family is grateful Paul lived out his dream of being a gentleman farmer for many years. In addition to his wife, he is survived by his devoted children and their spouses: sons Paul Jr. (Sherri), David (Wendie), Joseph Palermo and daughter Kristina McConnell (Mark). He was the adoring grandfather of Jordan, Justine, Brooklyn, Taylor, Emma, Sidney, Benedetto and Dominic Palermo, Ava and Mya McConnell, Patrick and Olivia Peak. Paul is also survived by many loving in-laws, nieces, nephews. As a final act of selfless generosity, Paul donated his body to the Brown University Anatomical Gift Program. Relatives and friends are cordially invited to attend a Memorial Mass in celebration of his life on Monday, May 13, 2019, 10:00 am at St. John’s the Evangelist Church, 133 North Main St., Attleboro, MA. In lieu of flowers, Paul's family has requested that donations be made to either Mass Fallen Heroes, www.massfallenheroes.networkforgood.com or Hospice, www.kindredgentivahospicefoundation.org, in memory of Paul F. Palermo Sr.
To send flowers or a remembrance gift to the family of Paul F. Palermo, please visit our Tribute Store. "Email Address" would like to share the life celebration of Paul F. Palermo. Click on the "link" to go to share a favorite memory or leave a condolence message for the family.